A warm southwest Florida breeze rustles the leaves of the towering oak trees, the swaying palm trees, pines and exotic tropical landscaping; creating a serene and luxurious country club experience. 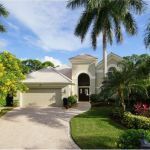 Welcome home to Twin Eagles, an exclusive gated golf resort community located in Northeast Naples on 1,115 acres of pristine Florida land…the ultimate in Naples, Florida golf and upscale living. Recently, The Council for a Sustainable Florida, awarded the Twin Eagles community the highest of honors and Twin Eagles has even been certified as an Audubon International Signature Sanctuary. 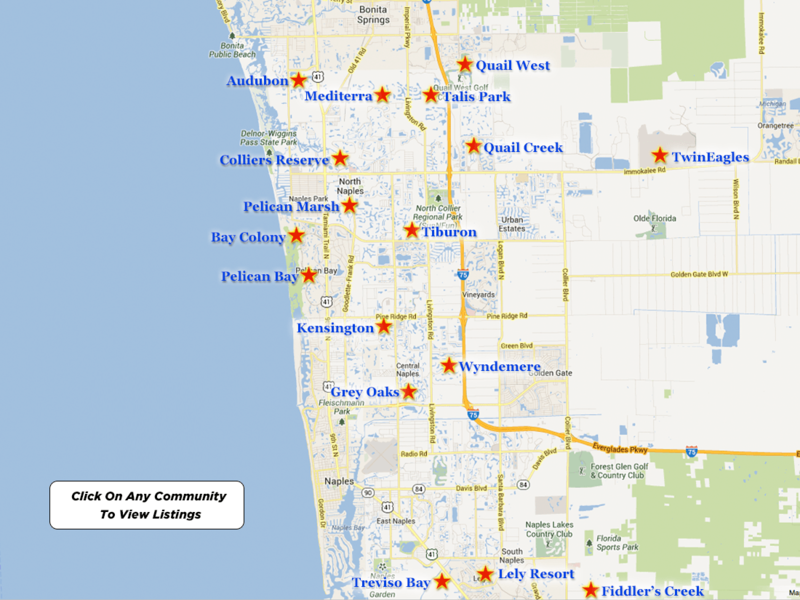 The Twin Eagles community has become one of the most sought after upscale neighborhoods not only in Naples, Florida, but within all of Southwest Florida and is conveniently situated nearby the breathtaking well-maintained white beaches and shimmering crystal-blue waters of The Gulf of Mexico, five-star luxury hotels, superior hospitals, medical facilities, schools, upscale shopping and gourmet dining at The Village on Venetian Bay, The Waterside Shops, Mercato, The Coastland Mall, the fashion forward boutique shops and eclectic fine restaurants of Fifth Avenue South and Third Street South, The Naples Philharmonic at Artis-Naples and The Baker Museum, The Naples Zoo and The Naples Botanical Gardens. 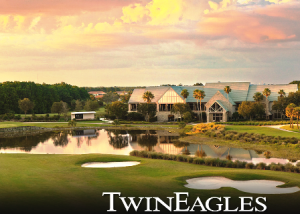 Twin Eagles offers an exclusive lifestyle with golf and more. At Twin Eagles, your golf and resort lifestyle includes playing two glorious golf courses, The Talon Course and The Eagle Course. The Talon Course, designed by Jack Nicklaus and Jack Nicklaus, Jr. in 1999, is an 18-hole par 72 course that presents a sensational golf experience to even the greatest of professional golfers. The Eagle Golf Course is an 18-hole par 71 course that was originally created in 2007 by the PGA golf professional, Gary Player. However, the Eagle Golf Course was renovated by Steve Smyers and his associate, Patrick Andrews in 2011. 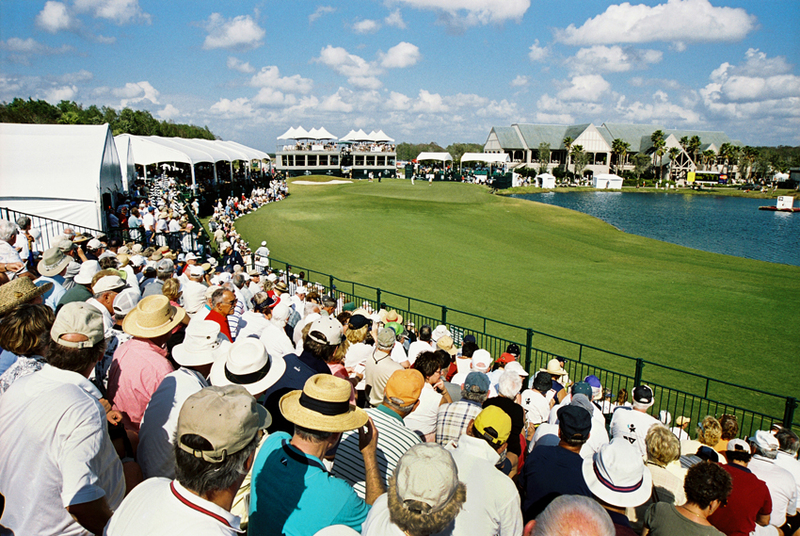 Twin Eagles Golf Club was host to The Ace Group Classic for five years and Golf Magazine named it “The Best Private U.S. Course of The Year”. One of the benefits of playing golf at twin Eagles Golf Club is the 600 member limit for both courses combined. This ensures that availability to the course and access to tee times is facilitated. Twin Eagles Golf Club also includes a staff of PGA certified professionals, a fully stocked pro shop, a practice facility with a double ended driving range, multiple sets of tees as well as an area for short games. Both The Talon Golf Course and The Eagle Golf Course evoke the feeling playing at the renowned St. Andrews Golf Course in Scotland; featuring mossy glens, sandy cliffs, lush rolling fairways, pristine greens and flowing dunes accentuated with the beautiful Florida natural lush tropical vegetation, towering oaks, pines and palm trees, flowering marshes and fresh water lakes….truly a homage to the game of golf! These challenging, yet enjoyable courses are for players of every skill level…and, will have you dreaming of golf not only on the weekends, but throughout the weeks, months and years ahead! 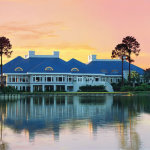 In addition to phenomenal golf, Twin Eagles offers the opportunity to live the country club lifestyle at the same time. And, with homeownership in the beautiful gated community of Twin Eagles, your golf membership is included in the cost of every new home. However, Twin Eagles is so much more than a golf community and so much more than a country club offering superb amenities with an exclusive two-story 47,000 square foot clubhouse. Twin Eagles offers the best of both worlds…ownership of a spectacular residence with the ultimate golf experience and all the finest amenities that represent luxury resort living… casual to fine dining with award winning Executive Chef, Chas Tatigian, a magnificent 2,500 square foot luxury community pool, a large full service Spa with sundeck overlooking a beautiful fresh water lake, a 6,400 square foot state-of-the-art Health and Fitness Center with professional trainers, classes, yoga, tai-chi, Zumba, spinning, Pilates, circuit weight training, treadmills, elliptical cross training, free weights and a magnificent Tennis Center with lighted Har-Tru tennis courts, a fully stocked pro shop and a staff of certified USTA professionals. The Golf Membership offers 36 holes of championship golf, the ability to request tee times 30 days in advance, golf rounds with tee times at 10 minute intervals, GPS equipped electric golf carts, the membership is limited to 600 members for 36 holes of golf, members pay golf cart fee only, unlimited use of golfing range at no additional expense and a complimentary locker with bag storage. No Initiation Fees – The Golf Membership is included in the purchase of every Twin Eagles new residence. The Sports Membership offers unlimited use of all of the dining, pool, fitness, social and tennis facilities of the club and has limited access to the golf facilities. Sports members may play golf four (4) times during the season Nov. 16-April 15, unlimited golf during the off season May-Oct, unlimited golf with tee time starting after 12 noon during the shoulder seasons of Nov. 1-Nov. 15 and April 1-April 15, range privileges are only available when playing a round of golf, payment of greens fees and golf cart fees required and there are no golf reciprocal privileges. The Social Membership offers unlimited use of all the dining, pool, fitness and social facilities of the club. There is very limited use of golf facilities. The Social member may play golf four(4) times Nov.-April as an accompanied guest of a full golf member, payment of greens fees and golf cart fees are required, range privileges are available only when playing a full round of golf, no golf reciprocal privileges, but dining reciprocal privileges are permitted. Twin Eagles homes for sale is on the ascent again and all the more reason for the sophisticated, well-informed buyer to explore his and her options with a seasoned real estate professional who understands the luxury real estate market and the distinguished individual in search of that exceptional residence. Twin Eagles real estate for sale comprises enviable properties that are available within various enclaves located throughout the Twin Eagles community. These unique enclaves include Fenhurst, Lockford, Wisteria, Hollybrook, Wicklow, Hedgestone, Glasglow, Strathmore, Sterling Hills, Thornhill, Iverness, Loclomond and Bramble Point. 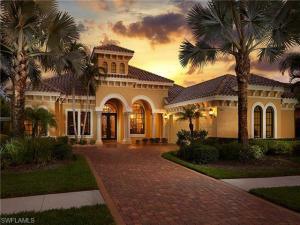 Twin Eagles Condos for sale are located in the splendid subdivision of Covent Gardens. The Covent Garden townhome community offers buyers three bedroom/two bathroom units with 1,600 to over 2,600 square feet and an attached two-car garage. 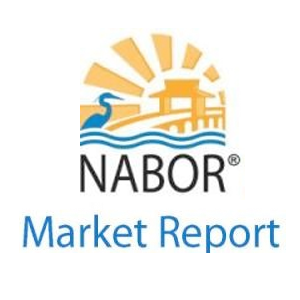 The real estate for beautiful Twin Eagles coach homes for sale begins in the $260,000 price range; elegant Twin Eagles villas for sale begin at $370,000 and Twin Eagles luxury single-family homes for sale range from $900,000 to over $3,000,000. The luxury of Twin Eagles offers an exclusive lifestyle of golf and more.